The Nokia 6 is a pretty solid deal under normal circumstances, but today it can be better still. This phone usually retails for $230 unlocked, but Daily Steals has this phone for $30 less with our coupon code. In addition, you get an external battery for more juice on the go. 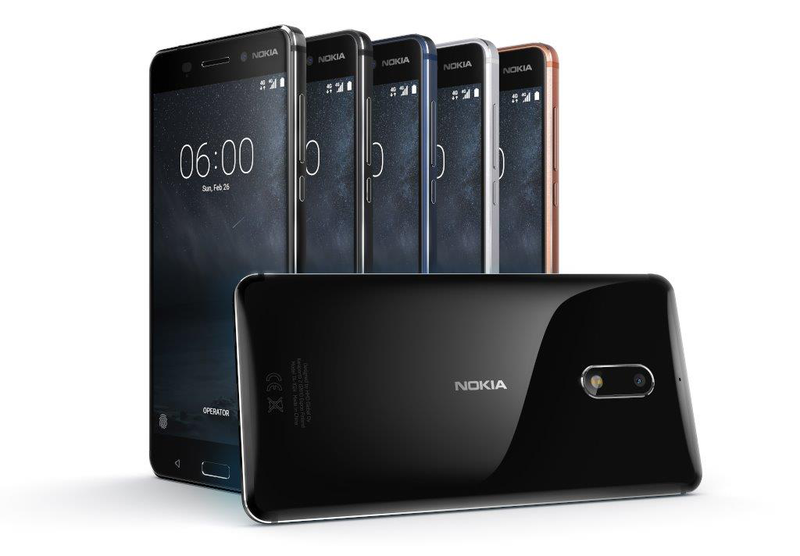 The Nokia 6 is a mid-range Android phone with a Snapdragon 430 SoC, 3GB of RAM, and 32GB of storage. The build quality is also surprisingly good for a cheap phone. Amazon sells a cheaper version at $180, but that version has lock screen ads and Amazon pre-installed apps. The version at Daily Steals is the regular unlocked phone with no bloatware. The included external battery is the Mophie Powerstation Boost 5200mAh. It doesn't support fast charging standards, but neither does the Nokia 6. To get this deal, simply add the phone to your cart and use code APOLICE30 at checkout. 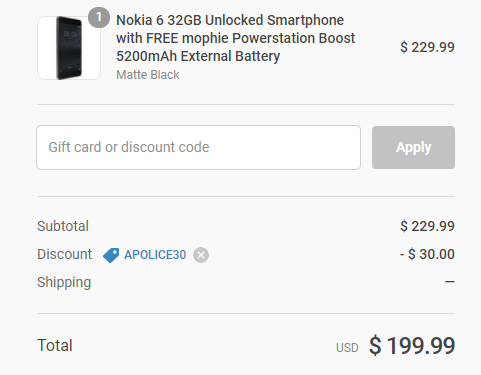 That knocks $30 off the price of the phone, and you still get the free battery pack, which retails for around $20 on its own.